Calf sweetbread is the most noble and delicate part of the offal, an important culinary specialty in Lyon. You usually eat it in good restaurants. We tested the calf sweetbread in the Jean-Moulin restaurant (Lyon 6e), cooked to perfection by the chef Grégoire Baratier. In Lyon, traditional cuisine is often made with offal at its base. The bouchons, those typical Lyon restaurants, serve beautiful andouillettes cut from calf’s intestines or the famous “tablier de sapeur” (sapper’s apron), a piece cut from the stomach. You can also eat kidneys there. But if the traditional offal repels you because of its strong taste, you have to give calf sweetbread a chance, the most noble and expensive offal. Calf sweetbread is made of a big gland that is located towards the trachea in young animals and that disappears when it becomes an adult. You usually eat the gland in calves and lambs. It is a meat with very little calories. King of tripe products, calf sweetbread has been considered, since the 19thcentury, as a festive dish and a rare delicacy which requires a lot of preparation. Food amateurs where deprived of it between 2000 and 2002, when it was added to the list of products which were not allowed to be sold during the mad cow crisis. With its light hazelnut aroma, its white, airy and light texture, calf sweetbread is often cooked in a pan with butter to reveal its subtility. You can find good calf sweetbread for sale at the Boucherie Centrale des Halles de Lyon for example, but prices are usually high (around 40 € a kilo). Most of the good restaurants in Lyon regularly offer calf sweetbread on their menu. 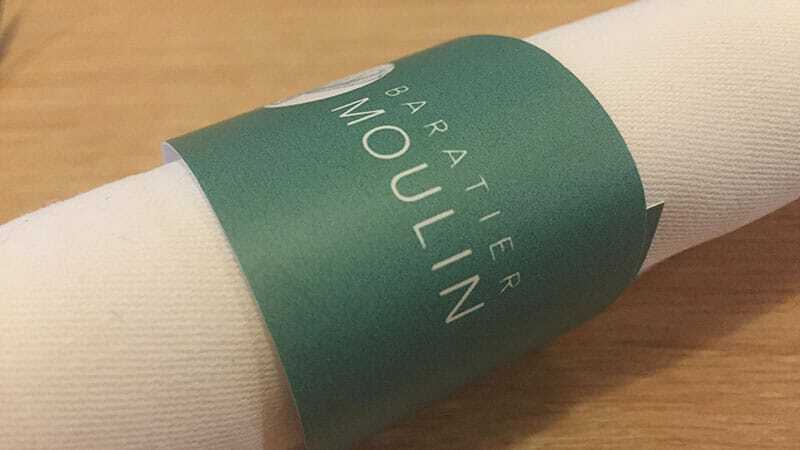 We went to taste the ones prepared by the young Grégoire Baratier, chef of the Jean-Moulin restaurant which just moved to rue de Sèze (Lyon 6e). 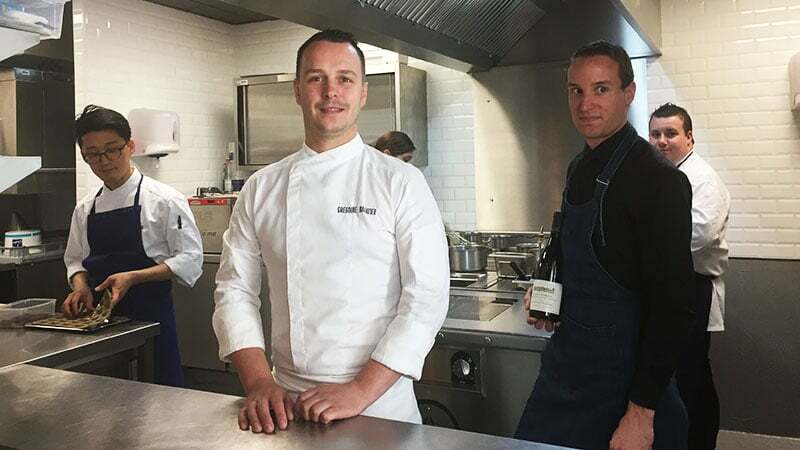 After having worked with some of the great Michelin-starred chefs (Paul Bocuse, Matthieu Viannay, Anne-Sophie Pic, Emmanuel Renaut, Cristophe Roure…), Grégoire Baratier took over the famous Jean-Moulin restaurant 8 years ago, on the banks of the Rhône, the first establishment of the Michelin-starred Christian Têtedoie. A couple of months ago he left the Jean Moulin dock to settle down in a bigger space. The restaurant made way for the Bourbon House, another good address. Grégoire Baratier and his team settled down on rue de Sèze to be able to seat 46 people (instead of 36) and serve the same inventive and quality cuisine. And the calf sweetbread was still on the menu, during the summer as well as the winter. “I cook calf sweetbread year-round. It’s a meal I am fond of because it’s a very mild offal. It comes from my mother, who loved cooking with good products. Calf sweetbread was the Sunday meal”, says Grégoire Baratier, 31 years old, from Reyrieux (Ain). The Jean-Moulin restaurant has moved in the 6th arrondissement. 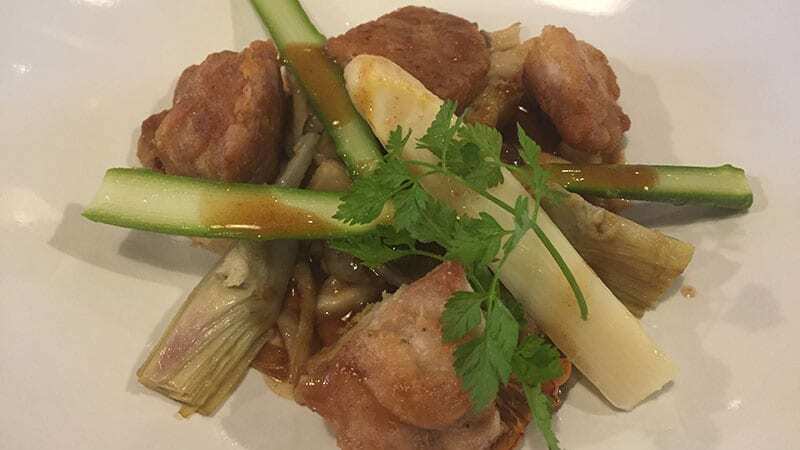 At the beginning of the summer they were served as a fricassee, crunchy, with asparagus and mushrooms, and an extra 8 € for the lunch menu (24,90€ for a starter, main course and dessert). Along with a young and promising red Givry (Bourgogne). For the starter, the chef had prepared calamansi (a lemon that tastes like passionfruit) crab. We tasted another one of the chef’s signature dishes, a dessert: a yellow wine iced parfait, and a light boletus mousse. This atypical dessert is a subtle balance between the Jura wine, very woody, and the mushrooms. Just like the calf sweetbread, you should not let yourself get repelled by the name or the ingredients. You’ll be won over just by tasting it.